Divorce creates many obstacles that can leave both parties feeling defeated. For those with children, none may feel more trying (or important) than the challenges that come with co-parenting. Before making any co-parenting decisions, it is important to prepare for opposing opinions. Most likely, the same differences that stressed your marriage will manifest as you work to establish a parenting plan post divorce. Unless your child’s immediate safety is a concern, part of the process is accepting that these differences/challenges will exist. Once we accept the challenges, we are in a better position to act on what we can control (and understand that some things may be out of our control). The next time you hit a co-parenting roadblock, try one or more of the below suggestions designed to help you shift your perspective and behaviors to generate a healthier co-parenting experience. Acknowledge your parenting partner’s strengths. Try not to vent about your parenting partner’s flaws without also naming, even silently to yourself, their strengths. Too often we react by playing over-and-over again in our head what’s wrong with our parenting partner. As a result, we build a lens through which we see them that seeks to highlight their flaws and disregards the good stuff. Maybe this is healthy to a degree as we work to break our attachment to them. However, over time, this lazar focus on the negative feeds conflict. Do something differently. One of the great things about changing our behavior is that it will inevitably change the behavior of our parenting partner. Come up with a list of what YOU can do within your comfort zone that might create a shift. This doesn’t mean giving up what matters to you – your shift MUST align with your morals and beliefs. Maybe it’s offering to do something without anything in return or asking your partner’s opinion about something related to the parenting process. Small efforts may result in big changes in the co-parenting dynamic. Practice self-compassion. No one gets this “right.” It’s a process of ups and downs. Divorce, if nothing else, challenges us to be human. While we may want to forever remain super-heroes in the eyes of our children – it may actually be healthy for our children to see some of our flawed “humanness” at times. As children realize that parents, too, face challenges, they can learn to be more compassionate towards their own struggles and rough edges. Seek help. Counseling is not only helpful when trying to work on “the marriage.” Counseling can offer a lot post-divorce, too, especially when working to navigate parenting decisions. Look for a therapist who specializes in co-parenting and/or family systems. If your co-parenting partner chooses not to engage with you in the counseling process, seek individual therapy to offer you support and perspective during difficult times. In highly conflicted child custody cases, help is available through the court system. Formal Parenting Coordinators (PCs) can be appointed to help carry out the provisions of a child custody order and reduce your family’s reliance on the court. The main purpose of the PC is to reduce conflict between parents. PCs educate and improve communication while negotiating differences parents may have. 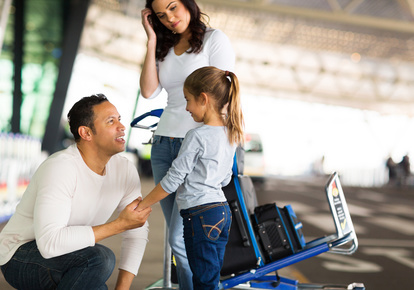 A PC may help with decisions regarding visitation schedules and transportation, vacation and holidays, as well as the health, education and emotional needs of your children. This is a valuable option for many who find co-parenting too challenging to navigate without additional support.